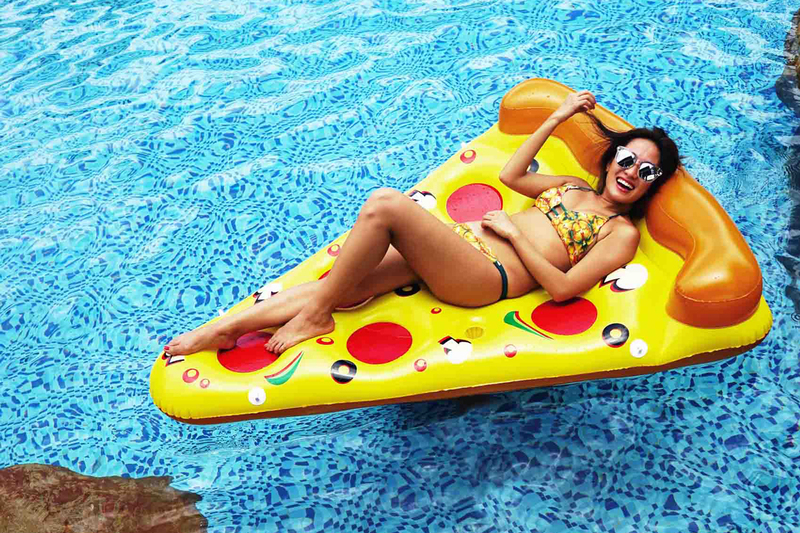 Have you every tried owning a floatie this cute and functional? It’s very addicting. 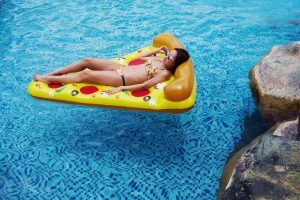 I once own a donut floatie but lost it because so many people borrowed it lol but this pizza floatie is by far the best one I’ve ever owned. It has a hole on top where you can put your drink and holes at the bottom– I really don’t know the exact function of this but I’m assuming you can flip it over and put snacks and drinks there.. OR you can use it as a beer pong floatie! 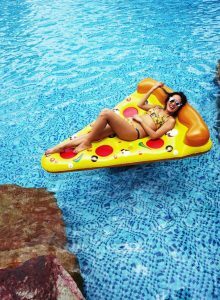 Seriously though, everybody wants to own one now because let’s face it, it’s very instagrammable and you can tan inside the pool all day! 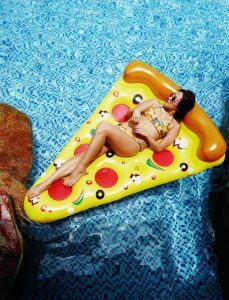 Good thing Shapes and Curves has tons of floaties you can choose from. I also got think reversible bikini from them, the prints on the other side at pineapples. Now, who wants pineapples on their pizza? Lol. 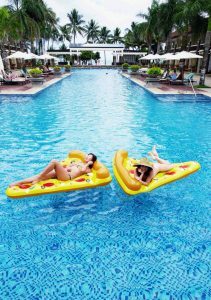 BTW, I want to get the lemon and donut floaties next! Also, I’ve said floaties waaaay too much on this post. Hi! 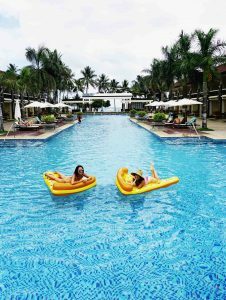 How much would it probably cost a single floatie?